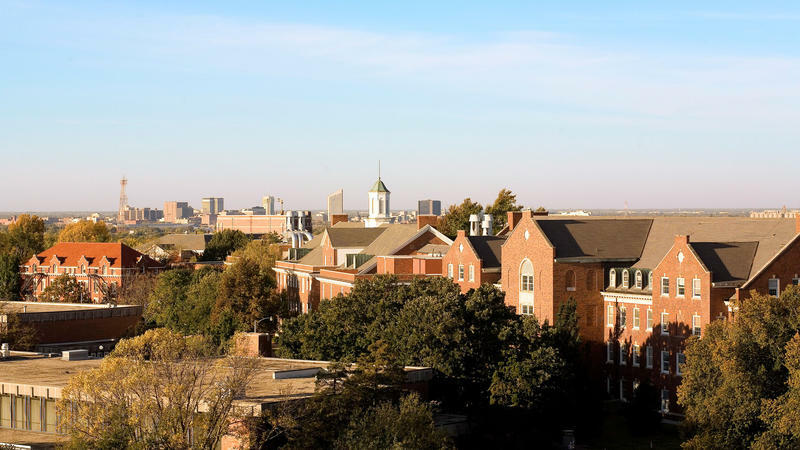 The cost of higher education in Kansas continued to swell last week, carrying on a long-running trend in which universities rely increasingly on tuition and fees to operate. This fall, a full-time semester at the University of Kansas will cost nearly $2,000 more than a decade earlier. The increase at Kansas State University has been similar. Also over the last decade, the state’s spending per student at Kansas Board of Regents universities has slid. Tuition at Kansas’ six state universities will go up this fall. The Board of Regents agreed to hikes ranging from 2.5 to 2.9 percent. Kansas State sought 3 percent, but lowered its request when it became clear the Regents were critical of the idea. 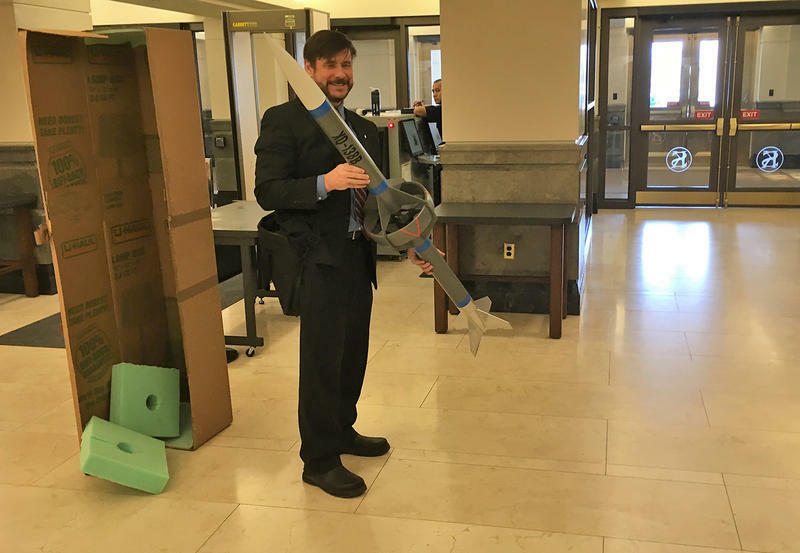 Regent and former state lawmaker Bill Feuerborn had hoped to keep tuition flatter. “My concern is, like I stated, we’re going to price some families out of sending their sons and daughters to college," he said. The Kansas Board of Regents will vote Thursday on how much to hike tuition at state universities next year. The six regent schools’ requests range between 2.5 and 3 percent, less than recent years. Wichita State University is requesting a 2.5 percent increase. University of Kansas Chancellor Bernadette Gray-Little said during discussions Wednesday that the 2.5 percent increase her campus is asking for is barely above inflation. “There was definitely a focus on making the tuition increase a modest one," she said. 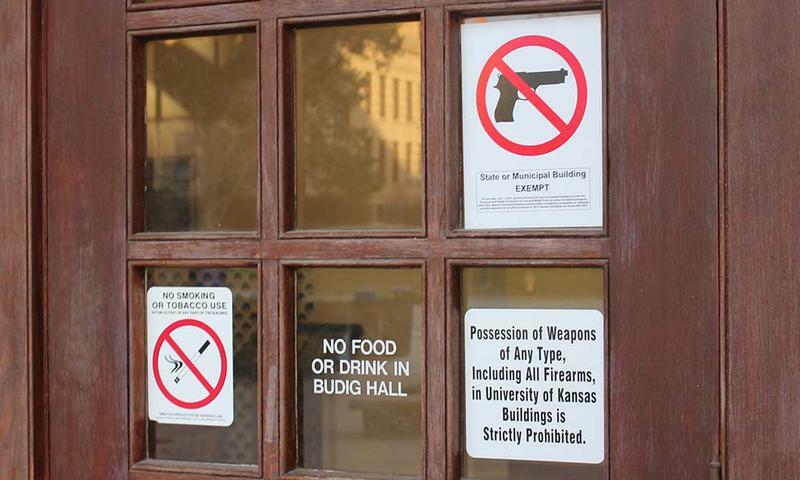 The Kansas Board of Regents says the University of Kansas must change one clause from its concealed weapons policy. KU wanted to require anyone carrying a concealed handgun in a handbag, purse or backpack to keep those items physically with them at all times. The regents voted Wednesday that the university needed to remove that clause. The University of Kansas, Kansas State and Wichita State all want to prevent fans from carrying concealed weapons into major sporting events. The three schools asked a Kansas Board of Regents committee Wednesday for permission to use metal detectors and armed security to screen fans. The committee agreed. New figures from the Kansas Board of Regents spell out just how much each university, community college and technical college would lose if the Legislature chooses to cut its way to a balanced budget this year. In total, all 37 institutions would lose out on a combined $52,546,469 dollars if lawmakers enact an across-the-board 6.95 percent cut. 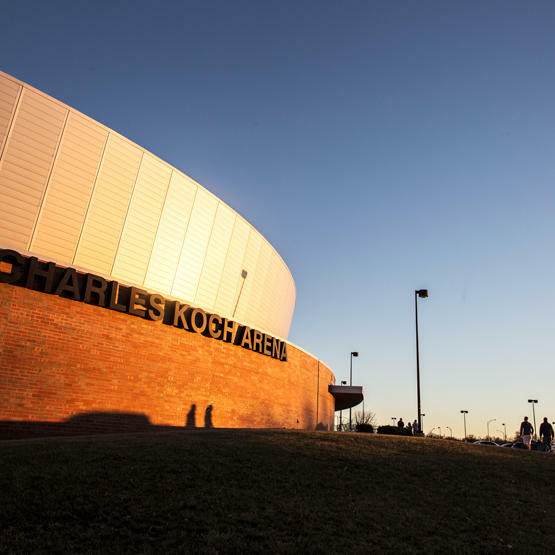 The Kansas Board of Regents approved a proposal this week to form an affiliation between Wichita State University and Wichita Area Technical College. The plan will now go before the state Legislature. Under the affiliation proposal, WATC would become the WSU Campus of Applied Sciences and Technology, and its employees would become WSU employees. WATC would remain a separate legal entity and continue to provide two-year associate’s degrees. Kansas higher education officials say in three years, the state needs thousands more students graduating college. Today, the Board of Regents will take a step towards that goal. Right now about 40,000 students in Kansas are awarded a bachelor’s degree, an associate’s degree or some kind of certification each year. That number, the state says, needs to bump up to 53,000. To meet the need of businesses in the state, 40 percent will need to be four-year degrees, and the rest will need to be two-year degrees or certificates. The Kansas Board of Regents will ask the legislature to restore $30 million in funding that was cut last year. Regents CEO and President Blake Flanders says the board would like to see state funding at least stabilize. In 2012, tuition became a larger source of university revenue than state general fund support. Flanders noted the shift in a presentation Tuesday on the board's long-term goals to the Senate Education Committee.